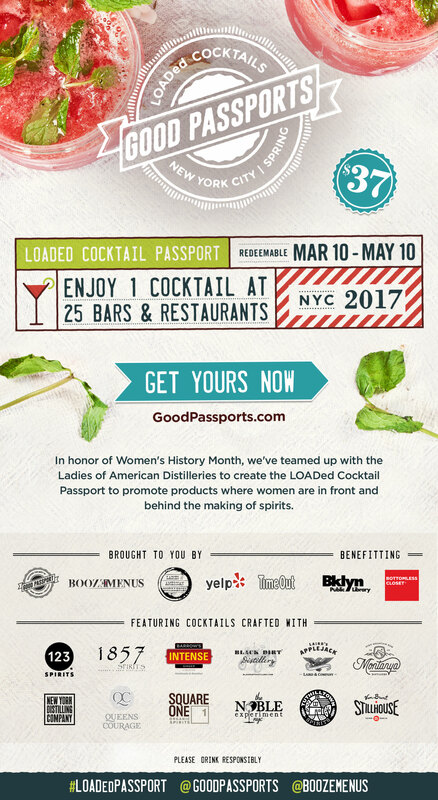 Good Passports, Ladies of American Distilleries (LOAD), Boozemenus.com, Time Out and Yelp NYC have teamed up to present the The LOADed Cocktail Passport, which will raise funds for Bottomless Closet and the Brooklyn Public Library. In celebration of Women’s History Month, we’ve created a passport that supports products where women are an integral part of spirit production, marketing, or branding. By purchasing a LOADed Cocktail Passport, you’ll get one cocktail, featuring one of the participating spirits brands, at every location. Each participating location will offer you the choice of at least 1 or 2 cocktails featuring a spirit from one of the brand sponsors. Some of the sponsored liquors are meant to be poured neat and in those cases, you will be offered it as such. Servings are based on 1.5 oz pours of selected spirit. You can use the passport on any day, at any time from March 10 through May 10, 2017. When purchasing a LOADed Cocktail Passport, choose the location where you would like to pick up your passport. Passports are available for pick-up from March 10 through May 10, 2017. Pick up your passport at the location you chose any day from March 10 through May 10, 2017. Bring your passport to each of the participating locations any day from March 10 through May 10, 2017 and choose one cocktail from a participating brand at each location. 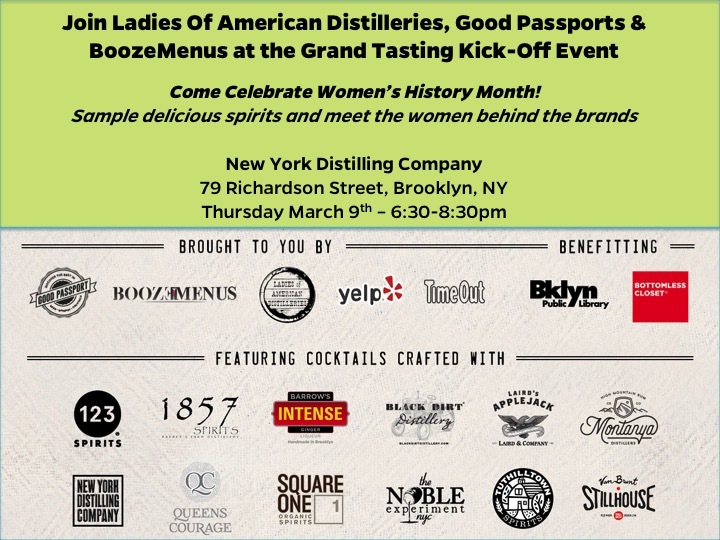 Join us at our grand tasting kick-off event, where you can sample spirits — both neat and in cocktails — crafted by the Ladies of American Distilleries and meet the women behind the brands. Snacks provided from Stinky Bklyn. VIP tickets come at no additional cost but there is a very limited amount available. To obtain the VIP passport, you must choose the option to pick up at the LOADed event. 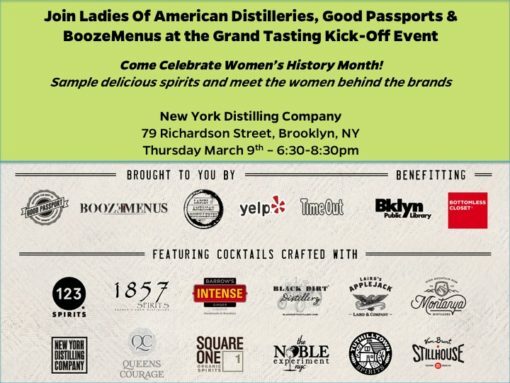 Passports purchased to be picked at the LOADed event must be picked up that day at New York Distilling Company between 6:30 p.m.-8:30 p.m.